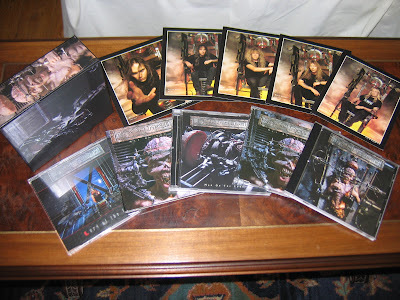 My Iron Maiden collection: Official box sets: Man On The Edge 1995 single. Special archive box to store all the singles and X Factor Cd.Brings 5 post cards. UK pressing. Official box sets: Man On The Edge 1995 single. Special archive box to store all the singles and X Factor Cd.Brings 5 post cards. UK pressing. 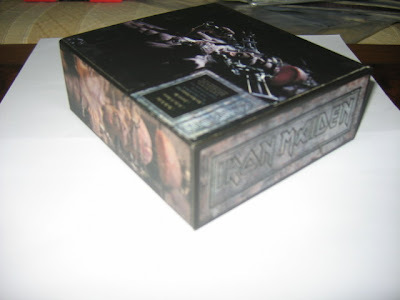 This box is a great edition although I really think it was not necessary 3 Cd's for the Man On The Edge single, specially because the tracks are almost the same from one Cd to another. Man On The Edge single was released in 25/09/1995 and reached the number 10 in the UK top chart. 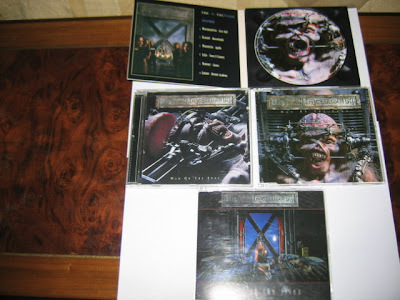 -The first Cd comes in a jewel case and brings a song not included on the Album called, Judgment Day, and ends with the first part of an interview to Blaze Bayley made by , at the time, Fan Club Headmaster, Keith Wilfort. 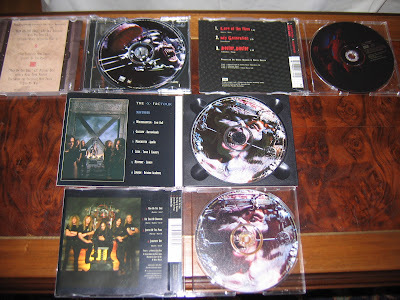 -The second Cd ( I'm going to say second Cd but I'm not quite sure if it is by this order) , comes again in a jewel case and its a Holland press, has two tracks not featured on the album called, Justice Of The Peace and Judgment Day. 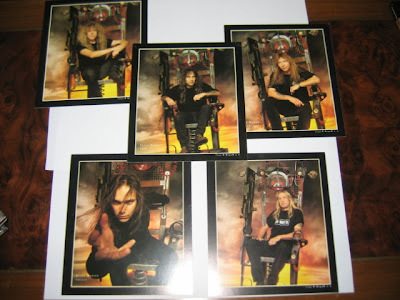 -The third Cd comes in a great digipack edition, features Justice Of The peace and ends with Blaze Bayley interview part 2.The box comes with 5 colour promo postcards and has space to put all the 3 Man On The Edge singles plus the album and the second single Lord Of The Flies. Justice Of The Peace, not included on the album. 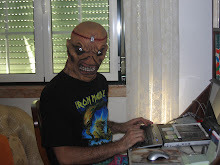 Judgment Day, not included on the album. Labels: Official box sets: Man On The Edge 1995 single. Special archive box to store all the singles and X Factor Cd.Brings 5 post cards. UK pressing.